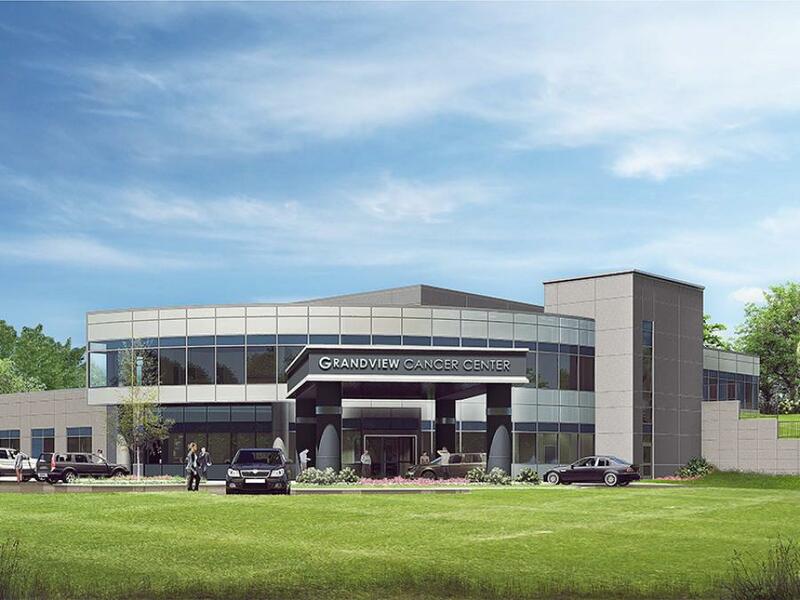 General contractor Brasfield & Gorrie recently celebrated a construction milestone at Grandview Cancer Center. Crews signed and placed the final beam on the new, 26,000 sq. ft. facility, topping out the structure for the freestanding cancer center located on the Grandview Medical Center campus. As is tradition, the field crew also positioned a tree at the structure's highest point. The cancer center will include a linear accelerator, pharmacy, three chemotherapy infusion bays and PET/CT scans. Aesthetically, the cancer center will feature Grandview's signature glass and curved facade. Earl Swensson Associates is serving as architect of the project. The facility will enhance the existing Grandview Medical Center campus, which currently includes a 12-story, 1 million sq. ft. hospital, an 8-story, 220,000 sq. ft. medical office building and a 1.1 million sq. ft., 3,000-space parking deck. All existing structures were completed by Brasfield & Gorrie in 2015. “The completion of the structure of this cancer center is an exciting milestone made possible by the hard work and dedication of our employees, subcontractors and partners. We greatly appreciate the opportunity to continue our work on the Grandview campus with the addition of this facility, and we look forward to completion of this project early summer of 2018,” said Brasfield & Gorrie Division Manager Ed Hauser.